According to a recent survey for the Risk & Insurance Management Society, more than half of risk professionals are using enterprise risk management (ERM) programs in their companies. Of nearly 1,100 risk managers, insurance buyers and other risk professionals that featured on the survey, 63% of respondents stated they have ‘fully or partially integrated’ ERM strategies into their risk management programs. Of course, the bigger the business, the bigger the number of risks. However, enterprise risk management is becoming increasingly popular among businesses of all shapes and sizes as it effectively ensures that risks are evaluated and avoided while any credible opportunities to achieve the company’s objectives are seized. But it’s not always easy finding the right ERM strategy for your business. By following these simple steps however, ERM can be made easy. Before you can go about identifying potential risks that could threaten your organization, you must address your risk appetite and outline a clear set of objectives. Determining the objectives of your ERM strategy will help you develop a philosophy towards risk management. What determines these objectives will be your organization’s risk appetite. Implementing an effective Enterprise risk management strategy is a process. You won’t be able to make changes over night. Defining your risk appetite and philosophy towards risk management should top your ERM agenda so that you can set about outlining objectives and subsequently identifying what risks you need to be wary ofs. In many ways, the identification of risks is exactly what your Risk Management Strategy is designed to do. Risk events that could negatively impact on the company and it’s objectives are the biggest consideration of the enterprise risk management process. These risks, internal and external, must be identified and assessed so that you can prepare for and protect against them. By considering factors such as likelihood and potential impact is surest way of assessing how they should be managed. Once you have a clear indication of what risks may negatively impact on your business, you can go about setting out a preventative strategy, aimed at mitigating the possibility of a risk event occurring. The enterprise risk management process should not only be used as a preventative measure however, it should also give businesses the technical know-how of responding to these potential events. Some responsive measures include avoiding, accepting, sharing and reducing risks. Whichever step the company chooses to take depends entirely on the outlined objectives and risk appetite of the company. All of the above steps would be rendered completely useless if the company’s enterprise risk management strategy was not applied at every level of the organization, on a consistent basis. Employees at every level must be trained in on the risk management plan. By applying policies and procedures that allow risk response to be effectively carried out, you can brief your entire staff on company policy with regards ERM. In order to ensure every inch of the operation is under the one roof, a strong communication strategy must exist across a company, at every level. Once an effective enterprise risk management strategy has been established, changes will occasionally need to be made to keep the plan up to date with the constant changes within the company. Other factors such as emerging risks and reputational risk management may also impact on the ERM strategy so it is important to remain flexible and open to policy changes. First and foremost though, it is important to set out your strategy as outlined above. In doing so, you can easily ensure the protection of your Business and the safety of the brand. Risk Management can be challenging for businesses, particularly with continuously emerging risks. By getting yourself a free risk assessment, you can protect your business against the challenges that lay ahead. Coy Sunderman is a risk advisor specializing in risk solutions for construction businesses, oil & gas operations, manufacturers and distributors/wholesales. Coy is a Certified Work Comp Advisory and holds his CIC (Certified Insurance Counselor) designation. 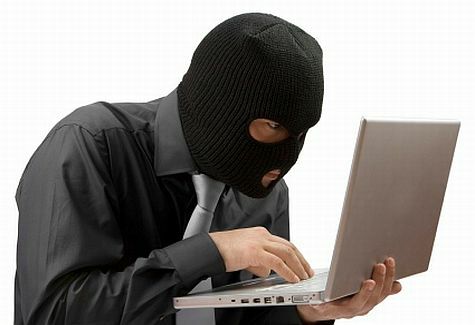 According to the Federal Trade Commission, as many as 9 million Americans become victims of identity theft each year. Identity theft occurs when someone obtains personally identifying information, such as your name, credit card number, birth date, Social Security number, home address and bank account numbers, and then illegitimately uses this information. This unauthorized use of your personal information can result in great financial loss as the thief amasses credit card debt and tarnishes your credit rating. Repairing the damage from identity theft can be a daunting—and financially taxing—task. After losing money to identity theft, you don’t want to spend more on the various fees and charges that accompany re-establishing your name and credit. Some employers offer identity theft insurance as a voluntary benefit that can help protect you in case you become a victim of identity theft. What Is Identity Theft Insurance? Identity theft insurance is designed to relieve you of the financial burden of repairing damages after your identity has been stolen. This type of insurance does not reimburse loss from theft such as stolen credit card numbers or forged bank checks, but rather prevents further loss once you have already become a victim of identity theft. Also, aside from some plans which may provide free credit monitoring, identity theft insurance does not work to prevent identity theft. Instead, identity theft coverage helps with expenses as you navigate the identity recovery process, which is useful whether or not you actually lost money to an identity thief. What Does Identity Theft Insurance Cover? In addition, the insurance may cover fees for a fraud specialist who can support and guide you through the recovery process, and some plans may provide their own experts to assist you. How Does Identity Theft Insurance Work? As a voluntary benefit offered to your employees, premiums for identity theft insurance will likely be paid through a payroll deferral. Because the insurance is offered through you the employer, employees are likely getting a group discount on the premium. After making a claim, the insurance company will reimburse the insured for expenses that are specified in the plan. For some plans, there may be a deductible, which is the amount you would have to pay before the insurance would start paying anything. In addition, the coverage amount is usually limited between $10,000 and $1 million. Your insurance may have a limit for each occurrence, a limit per policy period, or both. Having identity theft insurance can contribute to your peace of mind and give you necessary assistance should you ever become a victim of identity theft. Dana Rostro is the Director of Employee Benefits Sales and Operations at Texas Associates Insurors. Dana is ACA certified and has helped clients develop the best strategies for their operations within the new healthcare legislation. On Nov. 27, 2013, HHS delayed online enrollment for FF-SHOPs until November 2014. This means that small employers can enroll directly in SHOP coverage through agents, brokers or insurers. 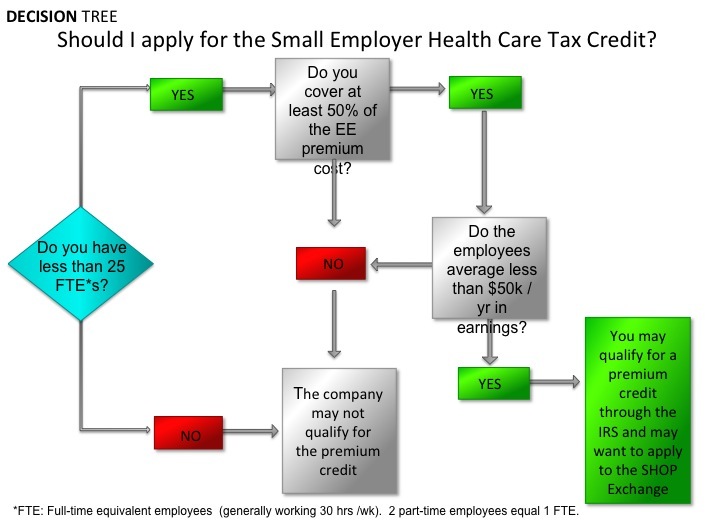 If you plan to claim the Small Business Health Care Tax Credit, you’ll need to get an official eligibility determination from the SHOP Marketplace, which means submitting a SHOP application. If you’re eligible, you’ll claim the tax credit when you submit your federal income tax returns for 2014. For SHOP coverage to begin on Jan. 1, 2014, HHS intends to extend the enrollment deadline to Dec. 23, 2013. To get started, you’ll need to complete a small business SHOP application and read the Frequently Asked Questions about SHOP. • Cover at least 50 percent of the cost of single (not family) health care coverage for each of your employees. • You must also have fewer than 25 full-time equivalent employees (FTEs). You are probably wondering: what IS an FTE. Basically, two half-time workers (less than 30 hr/ wk) count as one FTE. That means 20 half-time employees are equivalent to 10 FTEs, which makes the number of FTEs 10, not 20. • Those employees must have average wages of less than $50,000 (as adjusted for inflation beginning in 2014) per year. **Remember, you will have to purchase insurance through the SHOP Marketplace to be eligible for the credit for tax years 2014 and beyond. How do you claim the credit? You must use Form 8941, Credit for Small Employer Health Insurance Premiums, to calculate the credit. For detailed information on filling out this form, see the Instructions for Form 8941. Your tax adviser / Certified Public Accountant (CPA) should be able to assist you with the preparation when the company is submitting the federal tax returns. If you are a small business, include the amount as part of the general business credit on your income tax return. 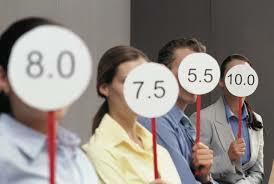 Also, the amount of the credit you receive works on a sliding scale. The smaller the business or charity, the bigger the credit. So if you have more than 10 FTEs or if the average wage is more than $25,000 (as adjusted for inflation beginning in 2014), the amount of the credit you receive will be less. You will need an agent or broker to help you with your application to the SHOP. Please let us know how we can assist you. The presence of one or several of these conditions can greatly increase your risk for diabetes, heart disease, and stroke. A person with metabolic syndrome will in most cases need to see the doctor more frequently and will likely need more prescriptions and medical assistance than those without the syndrome, costing insurance companies more. Because of the risks associated with metabolic syndrome, people that display some of these symptoms often pay more for insurance in anticipation of them needing more medical care than a healthy person. Studies have shown that people suffering from only one condition of metabolic syndrome pay almost twice as much as those not dealing with this condition. Even suffering from just one facet of metabolic syndrome (such as high blood pressure) renders a person five times more likely to develop diabetes. These increased risks and costs make health care even more difficult – and expensive – to maintain for those that may need it most. How to Afford it if you Can’t Afford it? The best way for people with metabolic syndrome to lower the cost of health care is to attack the root of the problem and focus on changing their habits and lifestyle. Most, if not all, of the conditions associated with metabolic syndrome can be made more manageable with increased physical activity and diet change. Some specific lifestyle changes that can decrease your risk for high healthcare costs (and further health problems) include losing weight, exercising, quitting smoking, and increasing fiber intake. Losing as little as five to ten percent of your body weight can greatly decrease your risk of diabetes, heart disease and stroke. Excess fat can also cause high blood pressure because the heart must work harder and under more pressure to transfer blood to the whole body. This pressure can ultimately prove fatal. 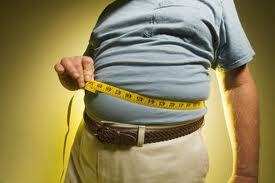 Weight loss can be achieved by simply lowering calorie-intake and exercising more. Doctors recommend getting your heart rate above-average for at least 30 minutes a day to stay healthy. Whether it’s a bike ride, aerobic activity, swimming, or just a quick walk; any increase in activity will strengthen your heart and reduce fat over time. In addition to all of the other side-effects of smoking, using tobacco products has been proven to raise blood pressure and increase the risk of heart disease (more so in women than men). Quitting smoking is therefore a crucial step in combating metabolic syndrome risks and inherently combating higher healthcare costs. A good corporate wellness program will give employees the tools they need to address the underlying lifestyle issues that contribute to poor health and, in many cases, metabolic syndrome. When employees make healthy lifestyle choices, not only does the cost of providing them with healthcare decrease, their productivity also increases, making employee wellness an investment with strong ROI. Travel Insurance – Should I Buy It? The question pops up every time you buy a plane ticket. Would you like to add travel insurance? It’s not free, of course. Credit cards may offer you coverage for free, but add-on travel insurance is another matter. Is it a complete waste of money? Or can it truly save your trip? There’s no easy answer. There are factors, or rather situations, that call for travel insurance and there are cases when it’s unnecessary. Most importantly, it also depends on what the insurance policy covers. So it’s really not about whether or not you should get travel insurance. Instead, it’s about knowing which kind of insurance to choose. 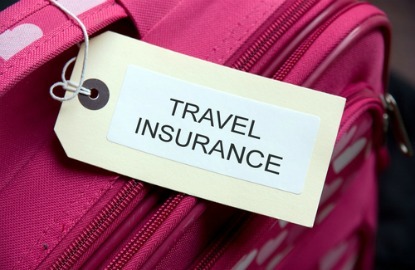 Here are some situations when it makes sense to buy a travel insurance policy. You’re going to gift it this season. Or you’ve beensaving up for the trip of a lifetime, which is going to be an incredibly huge investment. That around-the-world cruise vacation or African Safari will cost you $15,000, but it will create memories that are truly priceless. Should you buy a travel insurance policy? Definitely yes. The important factor here is the price. It’s a hefty amount and you ought to protect it with trip cancellation and interruption insurance. Let’s face it, the unexpected can happen no matter how thorough you are in planning your trip. What if you suddenly get sick? Or what if an emergency such as a crisis in the family occurs? Or the cruise line or airline goes bankrupt? In these cases, travel insurance can safeguard your well-earned money so that you can simply move your travel date, book another ticket and go on the vacation of your dreams. Additional tip: don’t buy this insurance from the cruise ship company. You won’t get your money back if that same company goes out of business. Most people assume that their existing health insurance covers medical expenses abroad. In almost every case, it won’t. Traveling outside the country, including on foreign-flagged cruise ships, demands caution. And one of the most important areas you should safeguard while traveling is your health. In this case, because your current health insurance policy most likely doesn’t cover medical expenses abroad, you should definitely get a travel medical insurance policy. Most travel insurance policies of this type will fly you to the doctor of your choice but you should thoroughly read the fine print to understand what you’re getting. In case you get sick or require urgent medical attention abroad, the insurance should cover your initial treatment, free and quick transport to a hospital or medical facility of your choice and other adequate medical resources. What about getting sick in a developing country? This is another situation where getting a good travel medical insurance policy makes sense. Not only will the policy pay for your care. The insurance company can also help to ensure you won’t get overcharged. Do you love mountaineering? Ice or rock climbing? White water rafting? Adventure racing? Frozen lake kite winging? The list goes on. What all of these activities share in common is this – they’re all extreme and put a traveler’s life at risk. If you’re the adventurous type who loves taking part in extreme sports abroad, then you should definitely get insurance. A basic travel insurance policy may cover “some” specific adventure travel, but the company will usually ask you how high the mountain is or how deep will you scuba dive. If the basic package doesn’t cover your adventure and extreme sports, be sure to purchase additional coverage. It’s more expensive, of course, but it can save your life. In fact, most people buy it for the peace of mind it affords. There are many other situations when travel insurance is necessary. Understand your travel needs and research your options so that you can spend your trip relaxing rather than worrying out insurance coverage. A typical buy-sell agreement will protect business owners in the event a co-owner wants out of the business voluntarily or otherwise. A partner may want to retire, to sell his/her shares, or to settle a divorce. On the other hand, the partner may die or become incapacitated and unable to participate. Once a buy-sell agreement sets up a price and terms for a buyout, you have assured the business’s continuation and seamless transition. Protect the Business: You and your partner may agree on keeping an unwanted third party from acquiring the business. The contract facilitates a hassle-free shift in control or ownership, it can provide the protocol for fixing or calculating the buy-price to the selling partner or deceased owner’s interest, and it can assure the mandatory arbitration required to settle any arising disputes. Finally, it may define the rights of remaining owners to purchase the interest of the departing owner to resolve or avoid the disputes that often arise among family members. Structure Tax Treatment: A buy-sell agreement may be used to protect a company’s status as an S-corporation, professional LLC, or professional corporation identity. And, it may want to avoid the termination of its status as a partnership for tax purposes. In addition, under the Internal Revenue Code, there are prohibited shareholders. The IRS will tax the business as a C-corporation if and when a share of the business is transferred to a prohibited shareholder and its status S election will be terminated. Protect the Remaining Interests: Great peace of mind comes with certainty of the terms enabling you to purchase the departing partner’s interest through a predetermined long-term financing arrangement that allows, for example, payments to be made from the business’s cash flow according to specific formulas. This allows the current owners to fix the price and terms of purchase, thereby reducing or eliminating the personal conflicts that could otherwise arise. Protect the Withdrawing Partner: The buy-sell protects the deceased partner’s estate from negotiating price and share from a disadvantage. By requiring the surviving partner(s) to buy back the deceased’s interest, it provides a source of income for payment of estate taxes and forestalls disputes with surviving spouses and heirs. In another situation, the agreement guarantees the disabled or retired owner a needed source of cash or a lump sum that fits a financial plan with tax treatment favorable to the withdrawing partner. A Cross Purchase Agreement works best with four or fewer partners. The owners each own life insurance policies on the lives of each of the others, and in the event one of them dies, the surviving owners use the proceeds of the life insurance policy to buy the deceased owner’s share of the business. A Trusteed Cross-Purchase Agreement creates a revocable or irrevocable trust with a third party owner-administrator and fewer insurance policies. The agreement contractually obligates the trustee to buy the interest of the deceased or departing owner, and the departing owner (or the estate) to sell the interest to the trustee. When using life insurance, the owner(s) can be confident that some or all of the money needed to complete the purchase will be available at the death of an owner. A Partnership Among Shareholders transfers the funding from life insurance policies into a partnership. 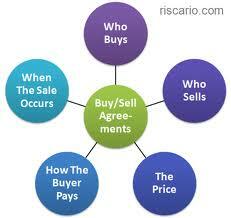 It is never wise to enter into a buy-sell agreement without professional advice and assistance. Before you and your partners hang out your “business open” sign, have your lawyers and insurance professionals design the plan that best serves all your interests. Dave Perez is a risk advisor at Texas Associates Insurors and specializes in property and casualty risk assessments for business owners. The typical employee’s desk has more bacteria per square inch than an office toilet seat. If that’s not disturbing enough, desks, phones and other private surfaces are also prime habitats for the viruses and bacteria that cause colds, the flu, strep throat, pneumonia and other illnesses. Infectious droplets from coughs or sneezes move through the air and land on nearby surfaces or are inhaled by others. Physical contact is made with infected droplets on a hard surface (e.g., a desk) and is transferred by touching the mouth, eyes or nose prior to hand washing. Even if you keep your desk tidy, it may not be “clean.” Unlike toilets, which tend to be cleaned regularly; keyboards, phone receivers and desks rarely receive a wipe-down. Consider this: crumbs and coffee spills are capable of supporting mini eco-systems. Without a cleaning, even a small area on your desk or phone can sustain millions of bacteria that could potentially cause illness. Germ-busting at the office is a team effort! It only takes one person to infect healthy co-workers. Regular cleaning of personal workspaces (desk, phone, keyboard, etc.) kills bacteria, stopping the spread of germs. Frequent cleaning of shared workspaces (door handles, coffee pots, light switches, faucets, office equipment, etc.) is essential in maintaining sanitary safety. Disinfection is the goal, so be sure to use a true disinfectant, not simply an antibacterial product. Daily disinfection reduces bacteria levels by 99 percent, drastically lowering the risk of illness. Be considerate of others and cough or sneeze into tissues, your sleeve or the crook of your arm. Wash your hands often and sanitize using alcohol-based disposable hand wipes or gel. Consider having these on-hand at your desk and in any common areas, including kitchens and restrooms. If you own a business, you should have a commercial insurance policy, and may have other forms of insurance including professional liability, directors and officers coverage, etc. 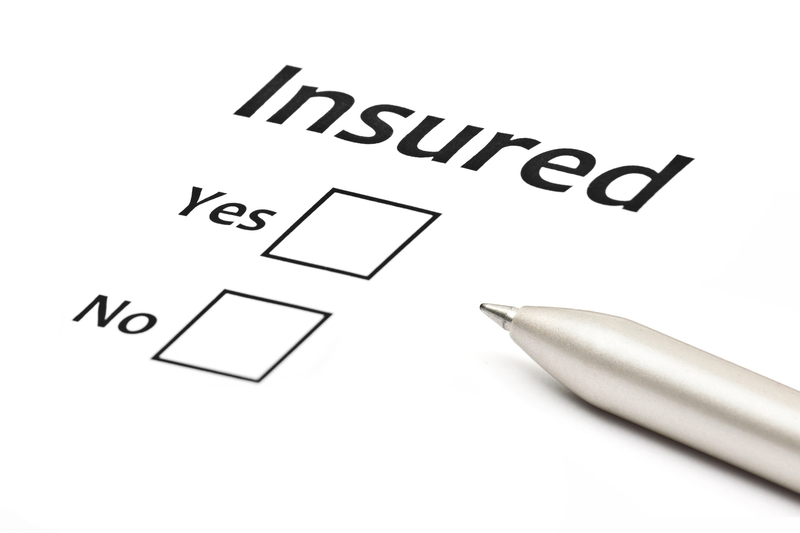 Before purchasing your insurance policy, you must first select an insurance agent that you would like to work with. On the surface, insurance can seem like a commodity and many insurance agents treat it as though it is by selling policies simply on the basis of price. The reality is that insurance is more than a product – it is a critical tool in any business’s risk management strategy – and crafting a policy that provides adequate protection for your business requires more than a cursory review of your company and the business it is in. Not all insurance agents are the same. The right insurance agent will approach their relationship with you as a partnership and not simply a sale. How to choose the right insurance agent for your business? Shop around and know what to look for when selecting your partner! There are literally thousands of insurance agents and insurance companies that would love to have your business. The important thing for you as a purchaser is to know what you need. Are you simply looking to purchase the lowest price policy, or are you interested in reducing your overall business risk and ensuring that you are protected when risk becomes reality? If it’s the latter, a great approach is to seek advice from the lawyers and accountants who helped you open your business. Often, they can recommend the right agent for your needs. Before meeting with an agent, it is important to have a basic understanding of the types of insurance products you may require. This is another situation where your corporate attorney or accountant may be able to help. With so many forms of insurance on the market, it can be difficult to understand which may be appropriate for your situation. Workers’ compensation is a sophisticated product with subtle ways of determining premium. Life insurance may be the best vehicle for a buy-sell insurance agreement. Businesses with products have needs different than those that provide services. Sole proprietorships need different security than partnerships or corporations. Fire, flood, and others risks mean different things in different locations and different industries. Before an agent can recommend what types of policies you should purchase, they must first identify and measure the risks to your business. Only then can they determine the best way to manage them. For this reason, you need the agent who has broad and deep experience in all lines of liability. Experienced and reputable professionals pursue continuing education and performance recognition. So, look for the initials after their name: CLCS – Commercial Lines Coverage Specialist, CLU – Chartered Life Underwriter, CRM – Certified Risk Manager, CPCU – Chartered Property Casualty Underwriter, or REBC – Registered Employee Benefits Consultant. There are yet more, but each of these represents years of coursework and testing. The ability to identify and manage risk is the key to a strong partnership with an agent, a holistic approach that reduces costs before they occur. Insurance rates are often based on the number and dollar value of claims, so it stands to reason that, to the extent that you can reduce the incidence and cost of claims, the better off you and your business will be. Look for the agent whose approach involves examining the broader risk management issues facing your business, and whose recommendations include more than simply purchasing insurance. Accidents will happen, but communication and readiness can improve the odds. When employees and staff are well-informed about risks, their potential consequences, and workable prevention, safety becomes a team event. The agent who can provide material resources in the form of manuals, signage, and training is a personal value to your business. These are the partners you want to sign with. Choose the agent for whom service is the unique value proposition. Value the commitment and mutual self-interest because it is to your advantage as well as the agent’s to develop and sustain the relationship. Gary Grissom is a partner and Senior Risk Advisor at Texas Associates Insurors. Gary’s expertise extends to the construction, manufacturing and oil & gas industries where he partners with clients to develop effective cost-reducing risk management strategies.